For marijuana users around the world, a plane ticket to Canada just got a lot more appealing. 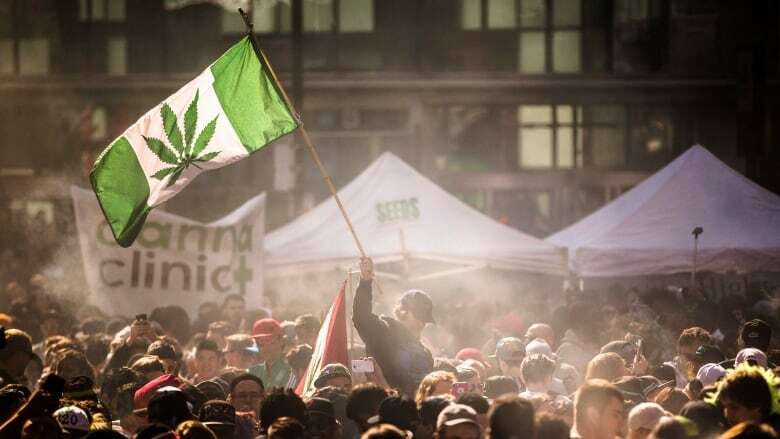 The Canadian government made history this week with the legalization of recreational pot use across the country. People lined up for hours for the chance to be among the first Canadians to buy a legal gram of bud. Needless to say, the market for cannabis in Canada is huge — and it's poised to grow. Canadians are expected to spend $7 billion on marijuana sales in 2019, according to global accounting firm Deloitte. Sean Roby believes that's just the tip of the iceberg for Canada's new green economy. Roby is the founder and CEO of Bud and Breakfast, a Colorado-based company that provides lodging and curated travel experiences for pot-loving tourists in Canada and the United States, as well as in other jurisdictions around the world. He says cannabis tourism — also known as 'canna-tourism' — is poised to become a multi-billion-dollar industry, featuring everything from CBD-infused massages to pot-themed museums and outdoor zip lines. Sean, weed has been legal for less than a week here at this point. How many Canadian listings have you added to your website since Wednesday? Since Wednesday, we've added 30 listings and we have about a total of 100 up there now. So where do you think those numbers will be in a year? Oh, I think it could be well over 1,000 for sure. This sounds like it could be a big business. What makes the experience of staying at a Bud and Breakfast different from staying at a hotel or an Airbnb? When people come in, our hosts are sort of Wikipedias of cannabis knowledge. They are a resource for all things cannabis — whether it be, you know, "Where's the local dispensary?" "Where's the local show?" "Where's the local ... microdose-infused meal?" That's really the experience — all things cannabis. But in addition to that basic information, some of the hosts on your site are really creative when it comes to enticing customers. What are some of the more innovative tourist attractions you've seen for people who like their weed? We've seen the full spectrum at this point; it's getting pretty creative. For breakfast, to start, we've seen microdose-infused cannabis blueberry pancakes. I've seen cannabis hollandaise sauce. 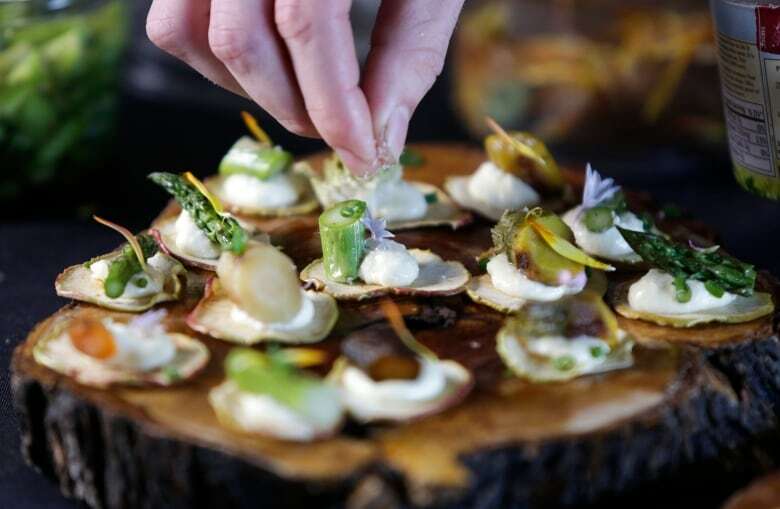 [For] dinner, top chefs are being flown in to cook. Experience-wise, we've seen everything from CBD-infused massages [to a] person up in California [who] is now putting up a zip line where they can zip over their pinot noir grapes, their cabernet and then there's some OG Kush and there's some Super Silver Haze on the side. We've seen yoga classes where people are partaking of the herb and then doing yoga. We've seen "puff and paint" classes. It inspires creativity for a lot of people. That's a lot of business opportunities. We heard something about a cannabis sushi bar. How does that work? Right. Well, that's what's happening. There's sous-chefs coming in, sushi restaurant owners even. They have classes where you will sit and you will, you know, roll a sushi roll and then you'll roll [a] cannabis joint at the same time. So you can eat the sushi while you're rolling your joint. It's funny, but it's an attraction. People are coming for it. If you were starting a Bud and Breakfast in Canada, what offer would you make to make yourself stand out in the market? 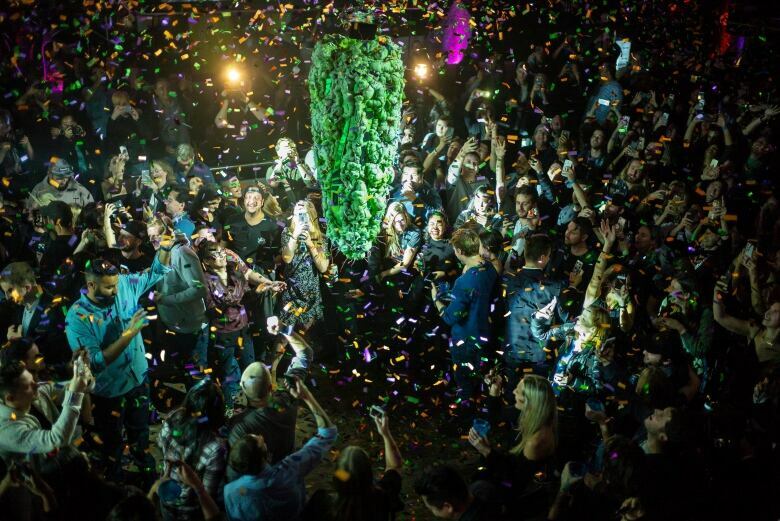 I can just say, based on what we've seen here in Colorado specifically, we have places that are booked out almost a year in advance that are providing a full bud bar. So you walk into the place, and instead of a bunch of alcohol and whiskey bottles, there are jars of cannabis and smoking paraphernalia. Then you walk into the next room and there's a cannabis yoga class going on; there's an art room set up. Cannabis tourism is huge, and people are looking at it and it's really giving them an edge over their, say, Airbnb neighbour. So the ideal listing is a host who has knowledge of the product, knowledge of the culture, and some innovative ideas about what would enhance the experience of those things? Absolutely. The days of traveling to a Holiday Inn, [with] the next generation, you're not going to be seeing that as much. People want to have an authentic local experience; they want to live that travel experience through the eyes of a local, and the sharing economy is providing that for people. And then on top of that, you add the cannabis thing, and it's perfect. Based on your clientele at Bud and Breakfast, where do you think Canada's first wave of tourists will come from? I think you're going to be seeing a lot of New Englanders coming up to Canada on the east side. And then for experiential situations, you're going to see a lot of West Coasters going up to Vancouver and B.C. I mean, we have a lot of farm tours and whatnot already existing up in B.C. right now. 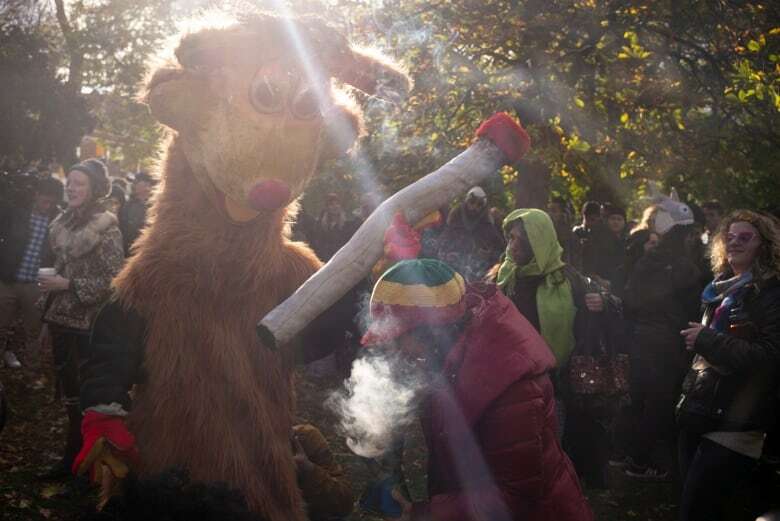 In Amsterdam, they've had weed tourism for years, but lately they've been cracking down because some people who live in the cities see it as something of a nuisance. How disruptive do you think dazed and confused tourists could be in Canada? Well, I can say this: we were in USA Today and one of our inn owners was interviewed by the reporter, who asked, "What do you think about the cannabis traveller compared to a normal traveler?" And he goes — and this was the kicker — he said, "Well, at the end of the day, the weed traveller is a lot less likely to throw a bottle of Jack Daniels through the window." And it's true. I mean, people are partaking of the herb and then relaxing, getting creative, going for walks in nature. It's a different vibration than alcohol tourism. Weed has only been legal here for a few days. Do you think the novelty will eventually wear off, or do you think the 'canna-tourism' industry is going to keep getting more and more specialized over time? You know, Canada is leading the way, just like Colorado. Colorado set the standard for all the rest of the states. Colorado is an example for what to do [and] what not to do with this new industry, and I think Canada will be the same for the world. This interview has been edited for clarity and length. To hear the full interview with Sean Roby, download our podcast or click the "Listen" button at the top of this page.